I have been feeling a little unsteady these past few days. Partly it is the need for some rest, which I have been taking. But I realised it is not just that. 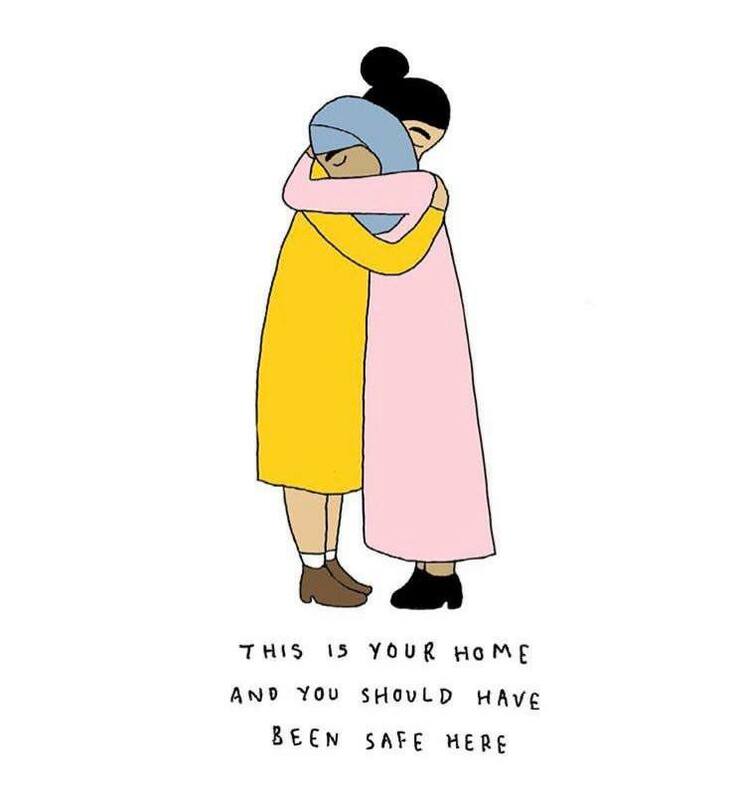 On a deeper level it is a sense of being devastated by the pain people cause each other – in dramatic and horrific ways as we saw in Christchurch and in small ways day to day. As I grow older I begin to see the pain people create by being avoidant. I think when it comes to the hard conversations sometimes it is easier to stay quiet. I get that sometimes it is easier to not have difficult conversations. It can be hard to find the right words when we discuss highly emotive topics, or when we feel upset by the hurtful words of another. When it comes to embracing diversity, celebrating difference and creating a world for our children which is loving and accepting, difficult conversations are the only way. When we hear or read racist, Islamaphobic, sexist, homophobic (the list could be endless) comments I do believe it is crucial to try and start a dialogue. As much as the hate speech we hear may invoke an inner rage, or desire for a fiery response – personally I believe it is essential to take a breath. To find some gentleness in how we respond. The world is a complicated place, whatever you believe hate is never the answer. Hate fuels hate. But love isn’t enough either, action is required. I think this is where yoga communities and spiritual communities fall down. There is a lot of aversion. Yoga and meditation can give us the tools to ‘spiritually bypass’ very effectively and cloak this bypassing in as part of our inner spiritual work. In Zen Buddhism there is a beautiful visual representation the spiritual journey through the ‘Ten Bulls’, where a man seeks enlightenment, but in the final image he returns to day to day life. This is known as the return to the ‘marketplace’. The man is forever changed – yet fully in his world and daily activities. The realisations and discoveries we make through yoga are incomplete if they do not include taking action to make the world a more harmonious and compassionate place to be. And this means beginning to have difficult conversations, even with people we love who make racist, sexist, homophobic statements or jokes. It means holding our politicians accountable for the culture they co create. In the world of yoga it means if we are unable to have difficult conversations and engage in dialogue, then we have a lot of work to do on the mat and meditation cushion. Ask questions and truly listening to the answers. Trying to understand the other person’s perspective, suspend judgement for a few moments and try to understand where they are coming from. Breathe & listen – speaking is inverse to breathing. Let people know how you are feeling and your concerns without blame. Possibly preface the conversation by letting people know you need to have what might be a difficult conversation, so they don’t feel blindsided. Spiritual bypassing is not the answer – reaching out, having difficult conversations is a beginning. Yoga should hopefully lead us into a deeper relationship with all things – not into a space in which we can avoid hard conversations and emotions. Life is messy. Amazingly joyful, and sometimes brutal and unkind. My hope is that for al of us our practice can be lived. Starting conversations, raising awareness and beginning to have the difficult conversations wherein people might have a change of heart. More love, less hate and taking action.